Links4Soils is in its final year now. The project aimed to link soil knowledge with practice. In different land use sectors sustainable soil management guidelines were developed. What can be done to restore soils after constructional measures? How is forest productivity linked to soil management and what does that mean in times of climate change? 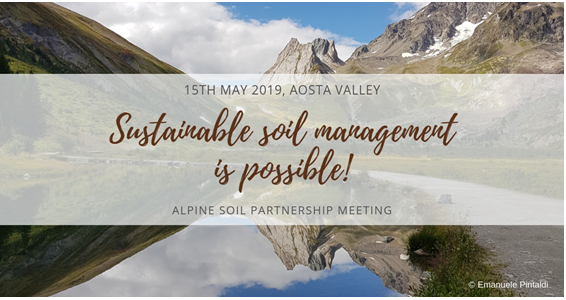 We cordially invite you to explore answers to these and many other questions in our last but one project meeting that we open to you – Alpine representatives dealing with soils: In the beautiful Aosta valley (Italy) on 15th May 2019. Save-the-date: The Final Conference of Links4Soils will take place on 14th-15th October 2019 in Innsbruck.